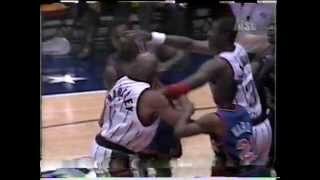 1996 Charles Barkley vs Charles Oakley fight in preseason game. ... 1996 Charles Barkley vs Charles Oakley fight in preseason game 02:47. SHAQ FIGHTS CHARLES BARKLEY!!! Jordan & Ainge: Tense encounter.